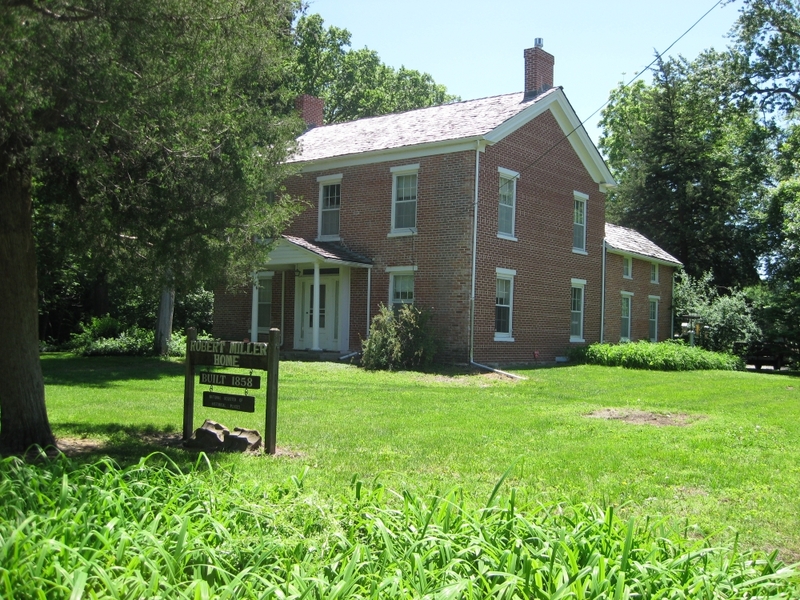 The home of Robert H. Miller, which still stands in Lawrence, Kansas, was visited by Quantrill and some of his men. The Robert H. Miller house located at 1111 E 19th St in Lawrence. 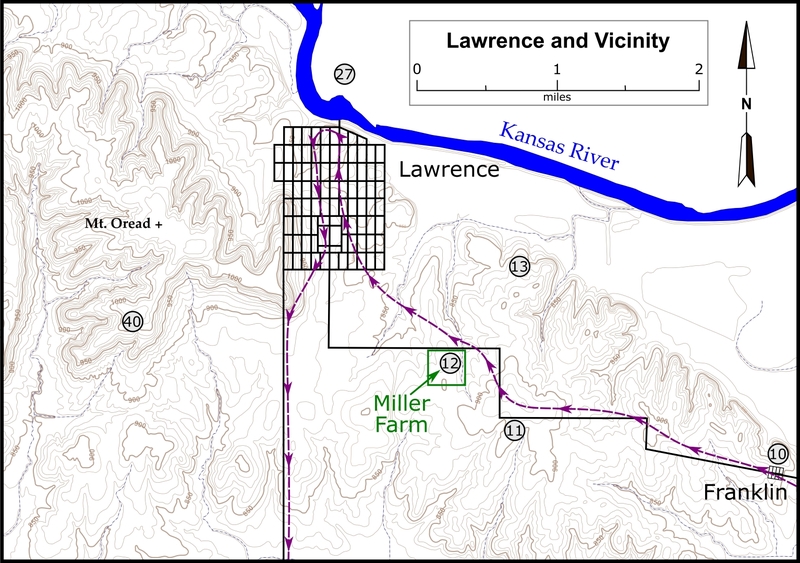 Map of Lawrence and vicinity showing location of the Miller House tour stop. 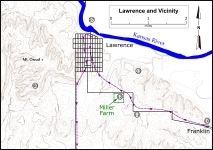 Click on thumbnail to load high resolution version of the map.